d'Orlando kicked the year off in the United States with his Italy-based Kart Republic Factory Race Team at the international competition Florida Winter Tour. With results in the top-7 this prepared him to return to European competition for his second year of WSK and FIA competition. After some days testing in Lonato, Italy, the first round of the WSK Super Master Series race was postponed due to snow conditions, so d'Orlando took some time to take in the historic sites of Rome and make the best of the missed racing opportunity. But a few short weeks later he returned to head-to-head competition at the Internationale Circuito di Napoli in Naples, Italy for the last round of the WSK Super Master series and then continued competition in Naples for the first round of the FIA European championship series. 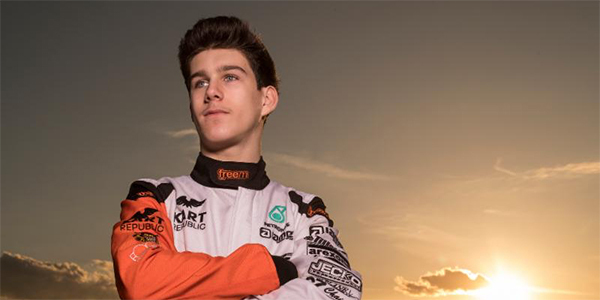 He would then finish his karting career at the PF International circuit in the United Kingdom for the second round of the FIA European championship series. d'Orlando showed speed in the top part of the charts and although he had very limited experience on track compared to his competition, his natural talent, work ethic and continued support from the Kart Republic world class program, earned him a spot in two of the three main events and results breaking into the top 16. His karting career came to a conclusion as his development in motorsports turned to race cars. 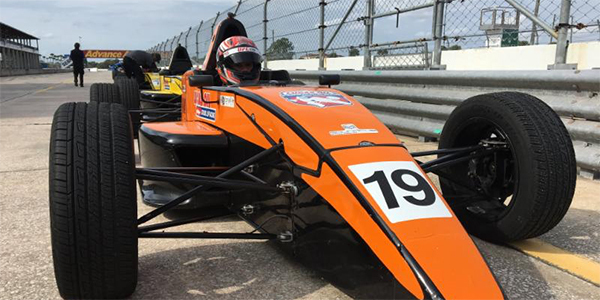 Driver and team management made the difficult decision to redirect focus to networking, building partnerships and developing the budget, while also preparing the driver for his rookie season in open-wheel race cars in 2019. In October he was selected to compete in the Lucas Oil School of Racing Karting Scholarship Shootout with 34 drivers from around North America competing for the championship prize of a scholarship in the 2019 Lucas Oil School of Racing Championship Series. He was ultimately selected as a top-14 finalist with no previous race car experience of any kind. Important partnerships were formed in 2018 for Nicholas d'Orlando. Working with the training staff at UFC Gyms in Mamaroneck and White Plains, NY, d'Orlando stepped up his physical training regiment, in addition to his current training and competing with the Iona Preparatory School Varsity Crew Team. A partnership with Sweden-based Italsport also expanded his driver development program. Now looking into 2019, d'Orlando continues to build on his network and develop additional partnerships to compete at the next level. When it's time to step in the race car this year, he will be prepared and ready to fight for wins. For more information on Nicholas d’Orlando, and opportunities to be a part of the development of this young talent, contact d’Orlando Enterprises’ management team at info@dorlandoracing.com or Rickard Franchini of Italsport at italsport@live.se. Follow Nicholas on social media at Instagram (dorlandoracing and dorlando_15), Facebook (Nicholas d’Orlando Racing) and Twitter (dorlandoracing).